On Tuesday, November 1st, the Valley Performing Arts Center welcomed famed comedy and theater group, Culture Clash in a one-night performance of "VOTE OR DIE LAUGHING: A Post-Modern Political Vaudeville." Special Collections and Archives is proud to be the home of the Culture Clash Collections, donated to the Library in 2003, and made available for research through a Hispanic Serving Institutions grant in 2004. 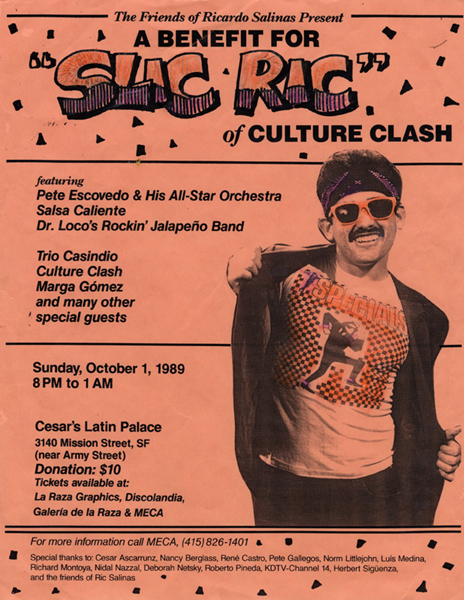 Culture Clash began its creative life on May 5, 1984 at René Yáñez's Galeria de la Raza in San Francisco, California. 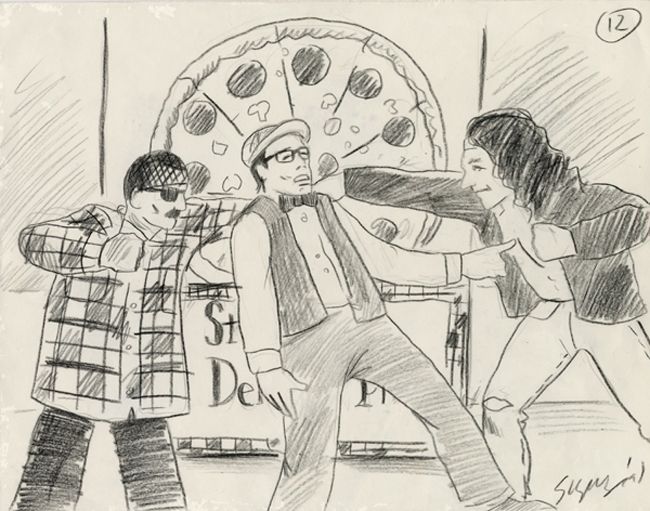 Originally named "Comedy Fiesta," founding members included Richard Montoya, Ric Salinas, Herbert Sigüenza, José Antonio Burciaga, Marga Gómez, and Monica Palacios. 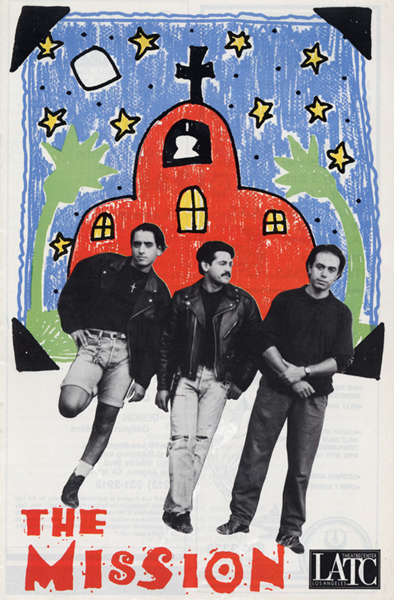 The group was reduced to four members when Gómez and Palacios departed in 1986 to continue their art in other venues, and to three when Burciaga left two years later in 1988. 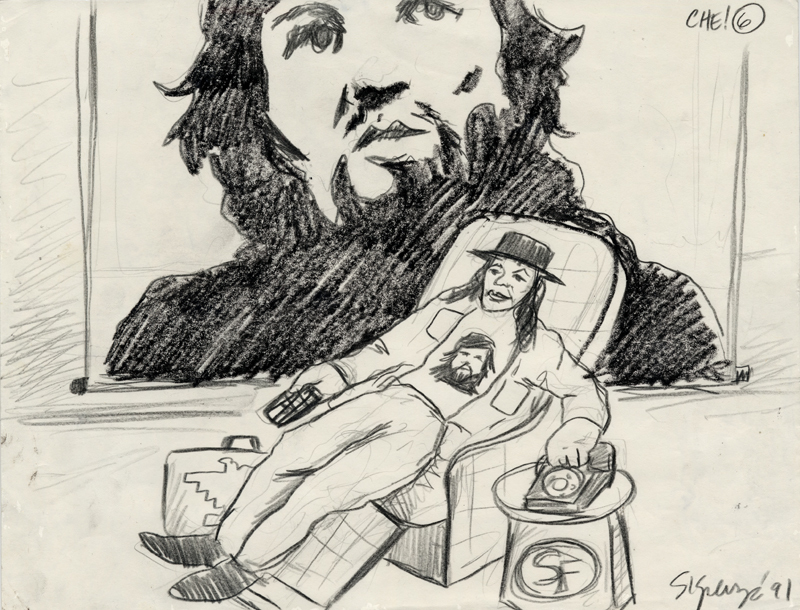 As described by the group's members, an important early influence on Culture Clash was Luis Valdez's El Teatro Campesino, which began in California in 1965 as an outgrowth of the United Farm Workers (UFW.) The actors, many farm workers themselves, created mini plays called actos that dramatized the daily lives of farm workers and mobilized them to act on important issues. El Teatro Campesino's style derived from the carpa or tent show, a traditional style of entertainment popular in the Southwestern United States and Mexico featuring music, drama, and dance. The group also credits influences such as Charlie Chaplin, Bertolt Brecht, Cantinflas, and the Marx Brothers, creating a blend of humor which is uniquely situated between satire and sociopolitical commentary. 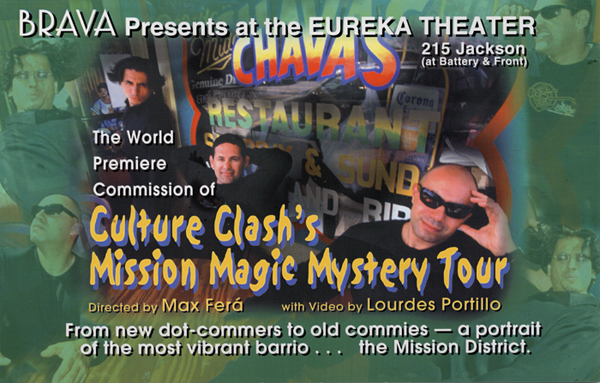 Culture Clash's first big break came on October 5, 1988 with the premiere of their play, The Mission, at the Intersection for the Arts in San Francisco, California. The Mission's plot involves "three vatos from the Mission on a mission," who try to get into Hollywood by kidnapping Julio Iglesias. 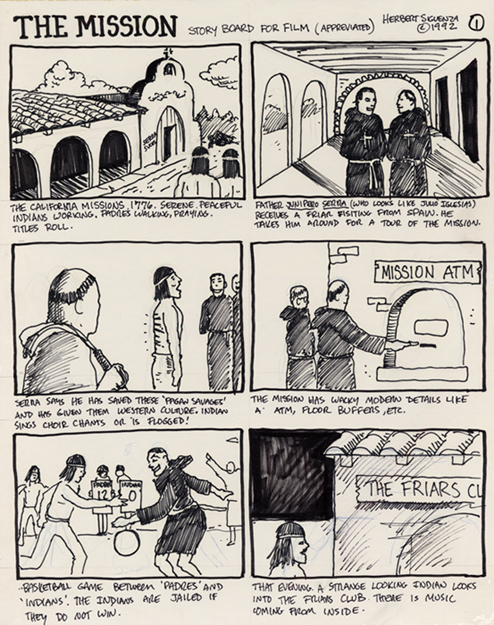 At the time this play was originally written, there was a movement to canonize Father Junípero Serra, so Culture Clash incorporated yet a third "mission," the treatment and victimization of California's indigenous peoples by the Spanish mission system. The creation of A Bowl of Beings represented another turning point for Culture Clash. On September 7, 1989, Ric Salinas was shot while trying to break up a fight, sustaining near-fatal injuries, and remained in intensive care for five days. Family, friends, and fans held several benefits to raise money for to help pay for Ric's medical expenses. Out of this experience came Culture Clash's A Bowl of Beings, which ran for six months at the Los Angeles Theatre Center, and was later adapted for a 1992 episode of PBS's Great Performances series. Culture Clash's extensive repertoire contains several plays that are distinct from their earlier works. S.O.S. 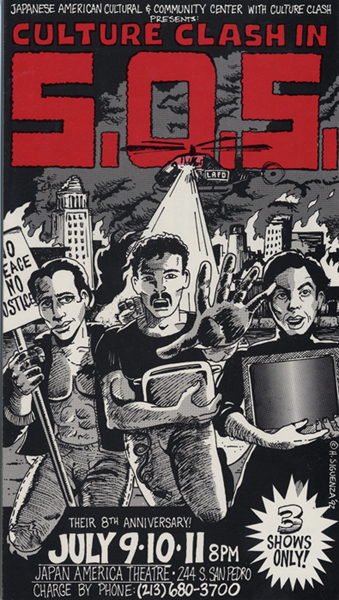 : Comedy For These Urgent Times (1992) explored the Los Angeles Riots. Carpa Clash (1993), a tribute to UFW leader Cesar Chavez, used the tradition of the carpa to tell its story. 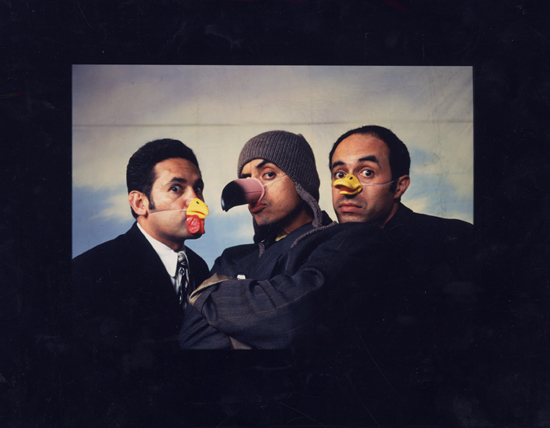 In 1998, Culture Clash adapted Greek witer Aristophanes' play, The Birds, for a modern audience, performing it at the Berkeley Repertory Theatre and the South Coast Repertory Theatre in Costa Mesa. 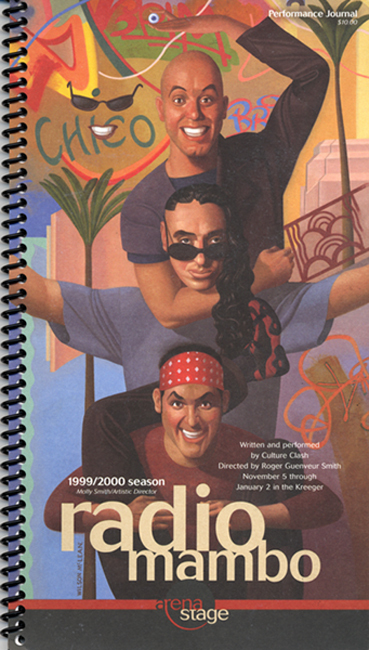 Culture Clash is also known for creating a series of site-specific plays, commissioned, created, and first performed for the communities from which their material was drawn.These efforts produced five remarkable plays: Radio Mambo: Culture Clash Invades Miami (1994), Bordertown (San Diego/Tijuana, 1998), Nuyorican Stories (New York, 1999), The Mission Magic Mystery Tour (San Francisco, 2001), and Anthems: Culture Clash in the District (Washington, D.C., 2002). Highlights from each of these plays were later incorporated into a new show, Culture Clash in AmeriCCa. 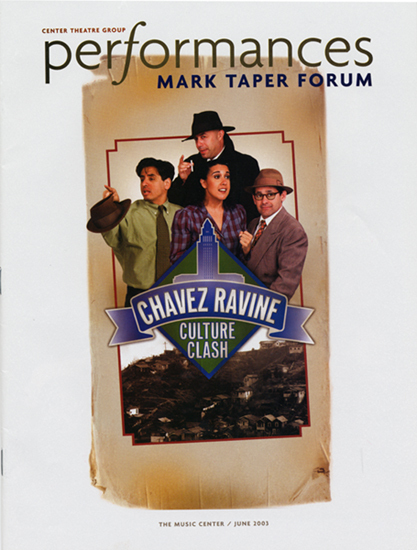 Closer to home, Culture Clash performed their play, Chavez Ravine, at Los Angeles' Mark Taper Forum in 2003. The play is based on the story of the Mexican-American population which was displaced by the construction of Dodger Stadium in the 1950s. The Richard Montoya Culture Clash Collection, the Herbert Sigüenza Culture Clash Collection, and the Ric Salinas Culture Clash Collection document the history of the group's formation and first two decades of performances, including original storyboards, sketches, and scripts, business records, marketing and publicity, photographs, and more. For a peek into the Culture Clash Collections, see our digital exhibition, Twenty Years of Culture Clash.